Farm-to-table eating means more than just asking your waiter where your vegetables were harvested. These days, the local food movement has become a lifestyle choice for families flocking to the approximately 150 “agrihoods” cropping up all over the country, according to the Urban Land Institute. These planned communities combine familiar amenities such as swimming pools and walking trails with an onsite farm where families can learn about planting and growing food as well as food preparation. The 4,000-acred community of Willowsford includes 2,000 acres of open space, a seven-acre lake and, eventually, 2,100 homes in four villages. Despite its size, the development manages to feel like a close-knit community and brings together residents for concerts, swim competitions, wine clubs, nature walks and, most importantly, food. The farm and nature conservancy are at the heart of the development and central to programs for children and adults who learn about gardening and farming. The community also has a demonstration kitchen and a teaching kitchen where residents of all ages can learn to cook with the ingredients grown onsite. 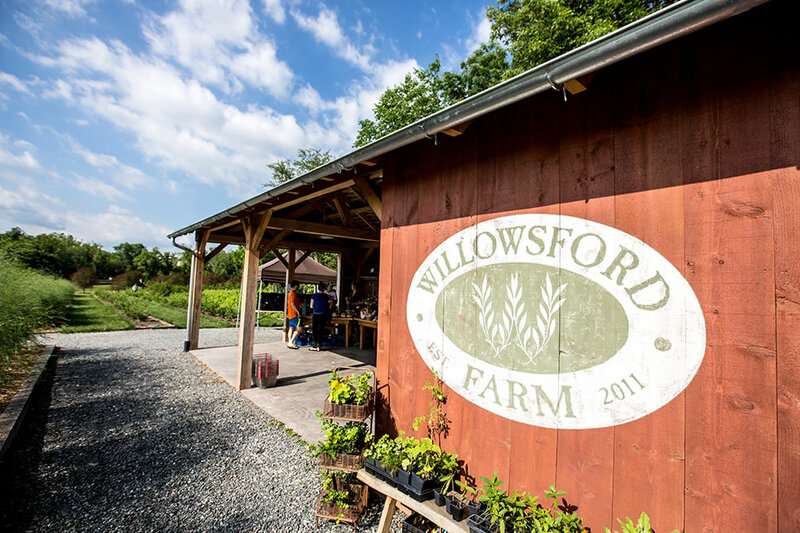 More than 150 varieties of vegetables, fruits, herbs and berries grow on the Willowsford farm, which also raises pigs, goats and chickens. 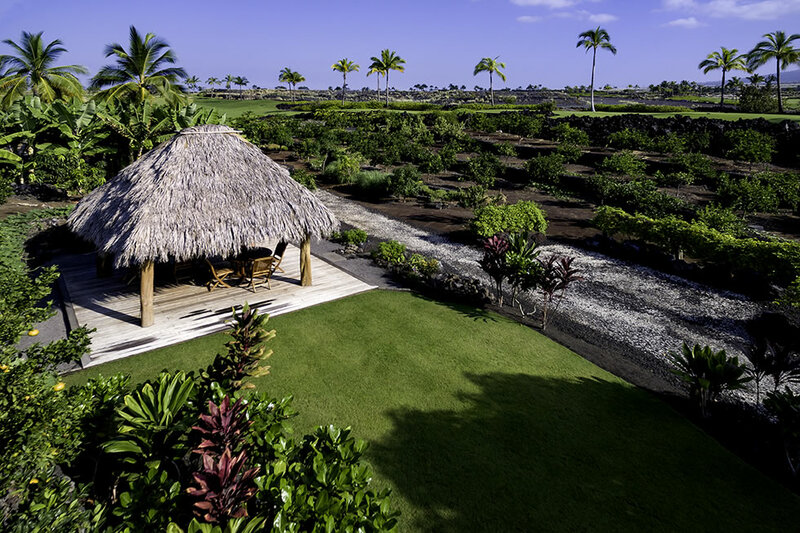 Located in the heart of Kohanaiki and managed by certified farmer Aaron Shapiro, this one-acre community farm produces many of the fruits and vegetables used in the club’s restaurants and catering services. Everything from guava, mango, pineapple, liliko‘i, taro, dragonfruit, and three varieties of bananas, to pomegranates, figs, okra, eggplant, ginger, lemongrass and Surinam cherries are grown on the farm, along with aloe vera and lavender. 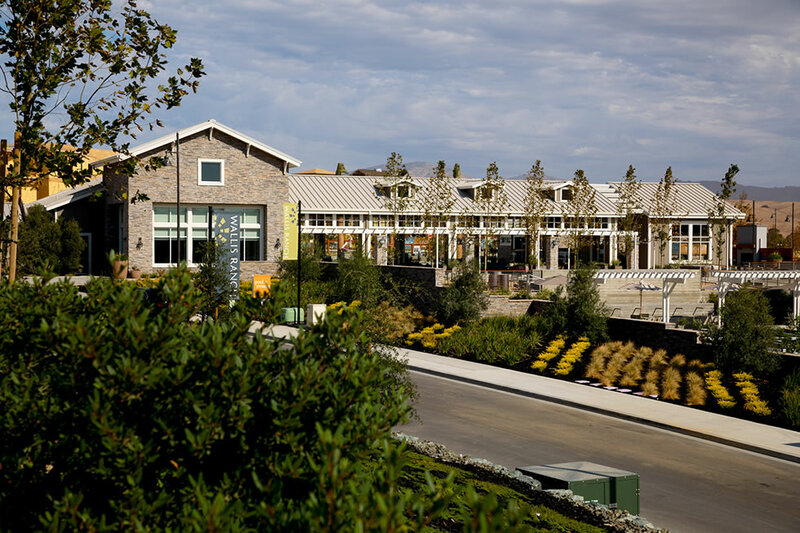 Wallis Ranch has drought-tolerant landscaping that uses reclaimed water throughout the community. More than half of the community’s acreage is devoted to green space including parks, trail systems and open space. The Farm at Hokuala on the island of Kaua’i, located within the 450-acre resort of Hokuala and managed by Farmer Cody Meyer, is an organic community farm where kids can learn about island agriculture. 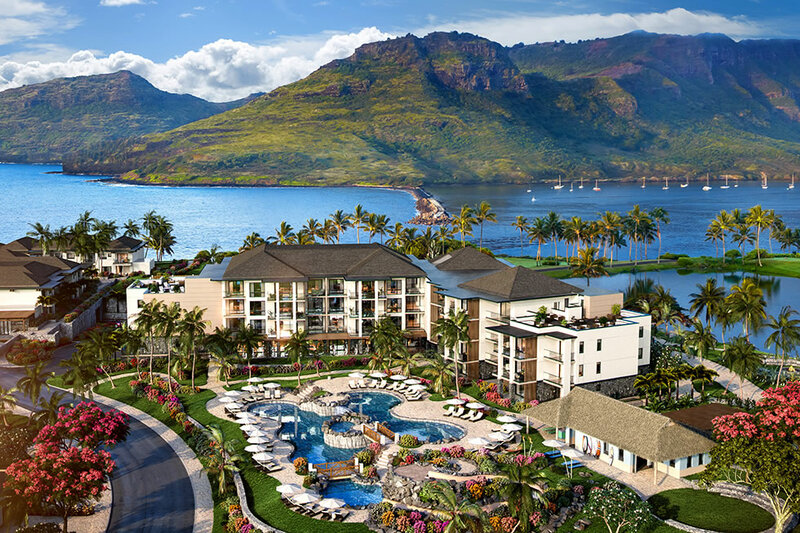 Owners and guests at Timbers Kaua`i can walk over from their residences to pick fresh fruits and vegetables. Fresh ingredients like guava, bamboo and turmeric are used for dishes at nearby restaurant Hualani’s and for spa treatments at the in-house spa at Timbers Kaua`i. Beyond the benefits of conservation, fresh ingredients and agro-education, the Farm at Hokuala gives back to the local schools and community. Builder & Developer (B&D): Congratulations on your 30th anniversary! What has it been like to grow Trumark into one of the nation’s most recognized homebuilders? 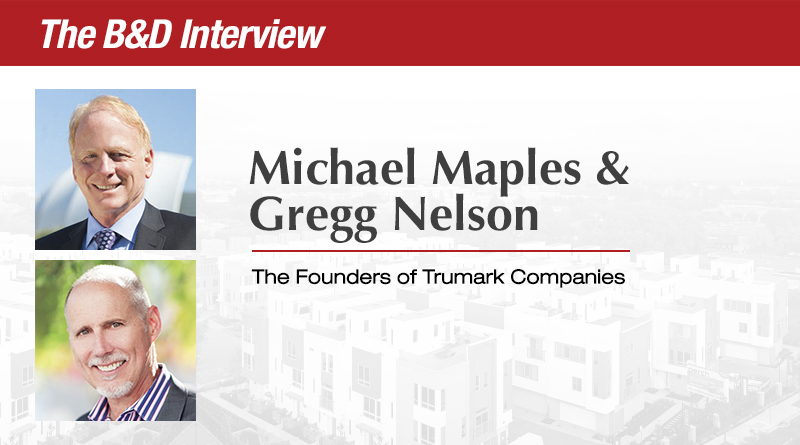 Michael Maples: Creating Trumark Companies and evolving it into the multi-divisional homebuilding company that it is today has been nothing short of incredible. We have diversified more than we would have ever anticipated — Trumark now handles master plans, urban, suburban, and mixed-use. B&D: What sort of trends can we expect for 2018? GN: In recent years, we have explored designing communities for driverless cars, utilizing land by building upward instead of outward, incorporating technology around every corner in the home, and designing flexible floor plans. The biggest trend we are capitalizing on today is in recognition of Baby Boomers’ desire for a new standard in “age-qualified communities” that break the traditional mold and deliver a revolutionary lifestyle fit for the next wave of retirees. B&D: You recently launched TruLiving, can you tell us more about it? GN: TruLiving is an innovative new home community model designed to revolutionize the age-qualified real estate market. Featuring the first age-qualified community amenity in the country to be registered under the WELL Building Standard® by the International WELL Building Institute, TruLiving will deliver features that benefit health and well-being by aligning with the seven concepts of the WELL Building Standard — air, water, nourishment, light, fitness, comfort and mind. More than just a healthy community standard, TruLiving will also redefine the way people see and approach the 55+ market, attracting buyers with a real yet surprisingly new way to live life and live it well. MM: Wellness will stand front and center at every TruLiving community, offering a mix of fitness, entertainment, connectivity and well-being curated to help residents live a life of possibilities. A robust enrichment program will fuel inspiration, with activities ranging from community volunteer opportunities and cultural trips to educational classes such as cooking and music. Each TruLiving community will take active, healthy living to the next level, providing amenities geared toward fitness and enjoyment of the great outdoors. Lastly, innovative technology will make life simpler with a dedicated app that allows residents to view event calendars, schedule an exercise class, and more. B&D: Having been a part of the industry for the past 30 years, how do you see the industry changing? GN: Land is scarcer than ever in the core areas. Because of that, we are seeing more high-density housing in the core markets. We believe technology will continue to have an impact on the housing business in the future, not only increasing home automation, but leading to more automated construction processes, as well as potential transportation technology (driverless cars, VTOL craft, and Hyperloop) that will have an impact on where homeowners will choose to live. B&D: What are some new projects that Trumark is excited about? MM: Wow — where to start? In Southern California, we closed out at Upcoast in Costa Mesa earlier this year, and also have communities at Tribella in Santa Ana, Bristol in Chino Hills, Founders in Chino Hills, and, perhaps the latest trendsetting SoCal community, Lewis + Mason in Anaheim, which is the first for-sale product in the Platinum Triangle. In Northern California, we’ve recently celebrated a major sales milestone at Glass Bay in Newark and Perch in Downtown Dublin. We also have active projects at our 806-home master plan community Wallis Ranch in Dublin and our first TruLiving age-qualified community located in Manteca. B&D: What’s next for Trumark? MM: We plan to continue our path of growth for the next five to 10 years, and evaluate next steps at that time. Trumark was recently named one of the fastest growing private builders nationwide over the last two years, and we are honored to lead the way in alleviating the housing shortage. In the next decade, we want to be at the forefront of designing and developing the next generation of mixed-use developments in urban and suburban locations. Our goal is to create amazing, inspiring communities for both the Boomer and Millennial generations’ next stage of adventure — it will not look like the past. A resale home that’s been remodeled might look like a newly built home, but before you choose between a flip and genuine new construction, you should take a hard look what you’re getting and what you’re not. The biggest issues with flipped homes involve warranties, repairs and the life expectancy of the home’s structural components, appliances and other improvements. A newly built home usually comes with a builder’s warranty. What the warranty covers and for how long varies from one builder to other, but if you hire a reputable builder, you’ll almost certainly get some protection from major problems with your new home for at least a year or two after it’s built. A remodeled home may be covered by a warranty for improvements if you own the home and hire the contractor yourself. If you buy a flipped home, you may never know who did the work and you might not receive any guarantees for parts, labor or workmanship. “If (the listing) says the house is ‘newly remodeled,’ you’re buying whatever they did. You can’t see behind the walls. You won’t have that warm fuzzy feeling that whoever did the work did it right,” says John Judd, Sr., co-founder of Judd Builders in Asheville, N.C. Buyers can request documentation of work done in a remodeled home, says Ted Stevens, designated broker/owner at Paladin Realty in SanTan Valley, Ariz. Ask for copies of warranties and information about the materials that were used. A home service contract for at least one year is recommended. The seller may or may not give you the information. ‘Remodeled’ Doesn’t Mean New. Appliances are another concern. A new construction home typically comes with brand-new appliances covered by manufacturers’ warranties. A flipped house often has older appliances that have aged out of those warranties and may not be covered by a service contract. Sooner or later, appliances break or wear out. If they’re not covered, you’ll have to pay out of pocket to repair or replace them. And if they are covered, you may still have to pay fees for repairs or building code upgrade costs for replacements. Repairs can be necessary sooner than you’d expect in a remodeled home, says Michael Cuesta, president of Cuesta Construction, a builder in Miami. Cuesta says every component of a home has a useful life expectancy and when you buy an older home, “You’re buying into the later part of that life” for components that haven’t been updated. “You may encounter (problems) sooner in that home than you would in a new home,” Cuesta says. A case in point is the home’s main sewer or waste disposal pipe. Newer homes use PVC pipes that don’t corrode the way older cast iron pipes do. A remodeled home may have an updated kitchen and bathrooms with the original cast iron sewer pipe buried beneath the foundation and landscaping. With a new-construction home, everything, including the sewer main, is new. Another example is new carpeting that’s installed over old padding. Money isn’t the only issue. Time is a factor, too, says Nathan Outlaw, CEO of Onvico, a Georgia-based construction company that builds in the southeastern U.S.
“An older home can feel like a second job that you have to pay for the privilege of working at. A new home won’t have a constant list of things breaking and repairs that you can never stay ahead of,” Outlaw says. Both new and remodeled homes can be structurally changed and redecorated, but there’s an important difference: A newly built home can be customized or personalized during the construction process. A remodeled home starts with an existing structure and design that can be costly to alter. “If you buy a home that has been flipped, the owner has put in new flooring and paint. To do it to your taste, you would have to tear it all out,” says Carola Cherief, vice president of sales and marketing at Trumark Homes, a builder in Newport Beach, Calif. If you sign a contract to purchase a newly built home before it’s constructed, you’ll be able to choose at least some of the finishes and fixtures that you want. The bottom line is that a remodeled home can be a good buy at face value, but will always be riskier and contain more unknowns than a newly built home.